How do you calculate the range of a VHF transmitter that is on-board an aircraft? I'm trying to calculate the range of a VHF transmitter on an aircraft output power 50W, frequency 130MHz, and reciever sensitivity of -100dBm. Is there perhaps a different formula that I am not aware of? VHF radio transmissions are primarily limited by line of sight. The formula for this is d = 1.23 * (√h1 + √h2) where h1 and h2 are the altitude s in feet, and d is the max range in miles. Not the answer you're looking for? Browse other questions tagged radio-communications avionics or ask your own question. 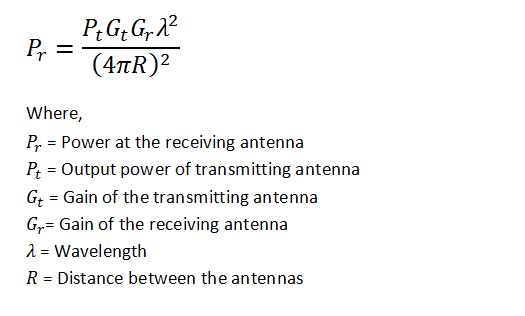 How do you calculate the maximum distance to communicate with tower control? Am I required to have my Radiotelephone Operator's Restricted Certificate (Aeronautical) on-board the aircraft with me? What if you don't recognise an aircraft ATC is telling you about? How can I find the location and coverage of aviation VHF transmitters? What are the reasons for the particular range of VHF and UHF frequencies? How can you calculate the required tailplane force to ensure steady state flight? What is the usual range of Approach and En Route ATC VHF radios? How do you indicate whether the supply of power to the gyroscopic instruments is adequate?